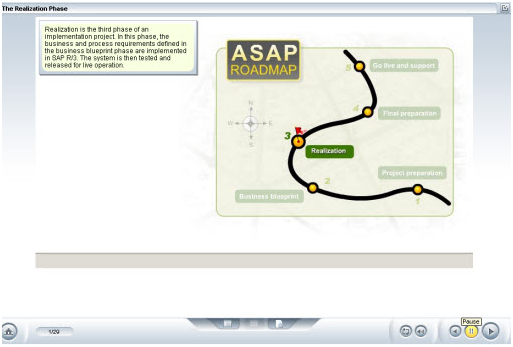 SAP provides tools to help businesses quickly and efficiently implement SAP through the Accelerated SAP (ASAP) Roadmap, and to configure it to fit the requirements of your business. This course surveys the key activities and tasks that make up the five phases of implementation using ASAP methodology: Project Preparation, Business Blueprint, Realization, Final Preparation, and Go Live & Support. 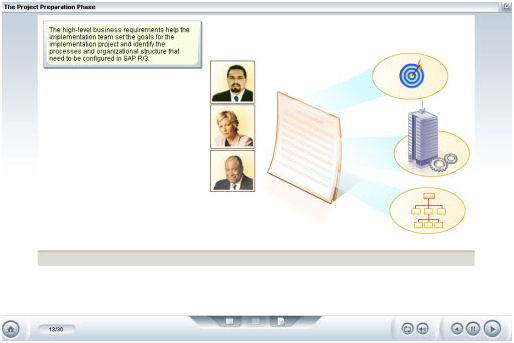 It also shows you how to use the Implementation Guide (IMG) to customize business process activities to fit the needs of your business.